A noble sweet White wine specialty from raisins shrunk, noble rotten berries from the Austrian state Burgenland which is also marketed with this Denomination of Origin. This wine has a very old tradition because it was created around the middle of the 16th century. In 1681 the Reichstag of Oedenburg carried out the survey of the market with the deed of December 3 of this year Rust to the royal free city. For this, the Ruster citizens had to pay Emperor Leopold I (1640-1705) in "real and liquid gold", namely the enormous sum of 60,000 guilders and the entire year's harvest of 500 buckets (which corresponds to about 30,000 liters) Ruster outbreak. The predicate wine level outbreak has been reserved for "Ruster Ausbruch" since 2016 and corresponds to one Trockenbeerenauslese, Of the sweet wine must be through exuberant fruit, more subtle botrytis, spicy sweetness-acid game and aspired alcohol content of 12% vol. It is obtained from botrytis-infested naturally shriveled berries by selective hand-picking. There are late maturing white wines such as Chardonnay. Furmint, Yellow muscatel. Riesling and Pinot Blanc ( Pinot Blanc ), where too cuvées are permissible. At the harvest is a Mostgewicht of at least 30 ° KMW mandatory. 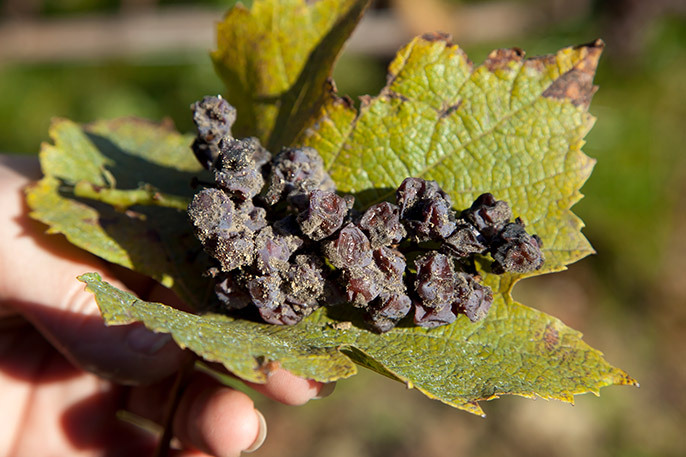 Only grapes from Rust and directly adjacent vineyards may be processed. The vinification must take place in the Ruster wineries. Ruster outbreak may only after a strict quality check by means of blind tasting with the seal of quality Cercle Ruster outbreak be marketed. This page was last modified at 23 June 2017 at 16:57.